We definitely do not find it hard to teach Bella anything because she learns fast and could easily understand everything but it is still more interesting if it is taught to her in a creative manner. This way, learning could be both fun and rewarding on our part. There are a million different ways to teach a child but it depends on the parents on how they do it. For Bella, we usually do it through games and stories because she loves books and stories. She can even memorize all her books already that is why we are getting her new books now. Like most children, she’d be interested on books with lots of colors and fun characters. But I guess she is even more interested on the story. That is why I was certain that she will also love the new eBook that I was about to show her. I was actually excited about it! I am always excited to show Bella new books because she would always shriek with joy seeing the pictures and hearing the stories. Hugo is a little happy starfish with a big heart and a curious mind. He wants to make others happy but he still has many things to learn. Through his adventures, Hugo learns many valuable lessons of character, life, skills, and ecological alertness- all against the colorful backdrop of a magical underwater world and mystical islands. In Magic Words, Hugo was sent to the Island of Respect where he learns that some things can be paid with respect instead of money or gold. There are lots of interesting parts of the story and Bella would change her expression for every scenario because the book can also teach feelings from anger to happiness. But before I showed Bella the eBook, I already told her the story and she is always in all smiles every time we come to the part of getting the treasures- two magic words: PLEASE and THANK YOU. 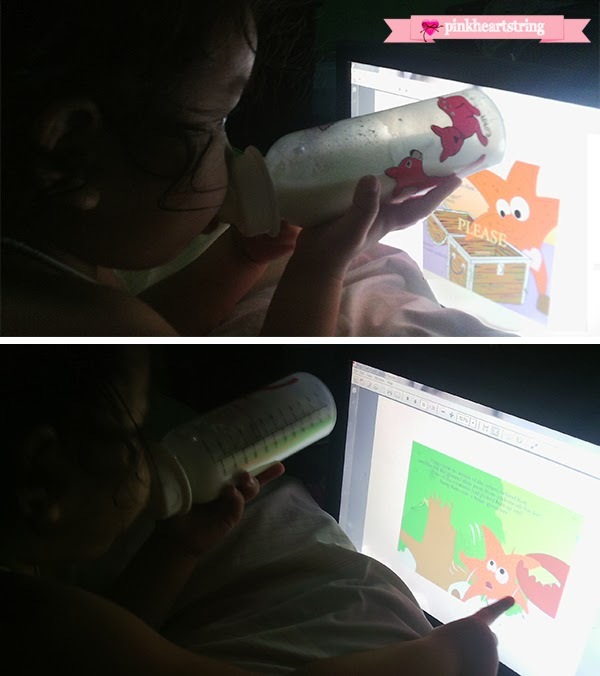 When she saw the eBook, she loved it even more because of the colorful illustrations. She would then practice saying Please and Thank You over and over again. 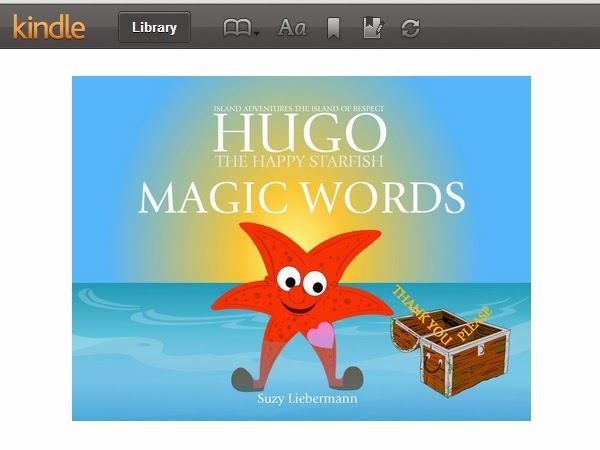 Every time she forgets to say the Magic Words, I just remind her of Hugo the Happy Starfish and then she knows the right words to say. So, if you find it hard to teach your little ones how to say Please and Thank You, learn about their feelings, emotions, being polite and learn respect, this is the perfect book for you. This can even teach your children more than just that. This is a great post - thank you for the fabulous recommendation! This is so cute. My husband loves giving my son anything related to fish, oceans, etc.